Sarasota International Cricket Club, Inc.
Policy and matters concerning SICC are considered by the Board of Directors. Please pass my gratitude to Laurence Parry and the many others who made my second trip to Sarasota to play cricket so very enjoyable. Please keep the Tournament going. Is the international weekend being held this year? Yes, absolutely. 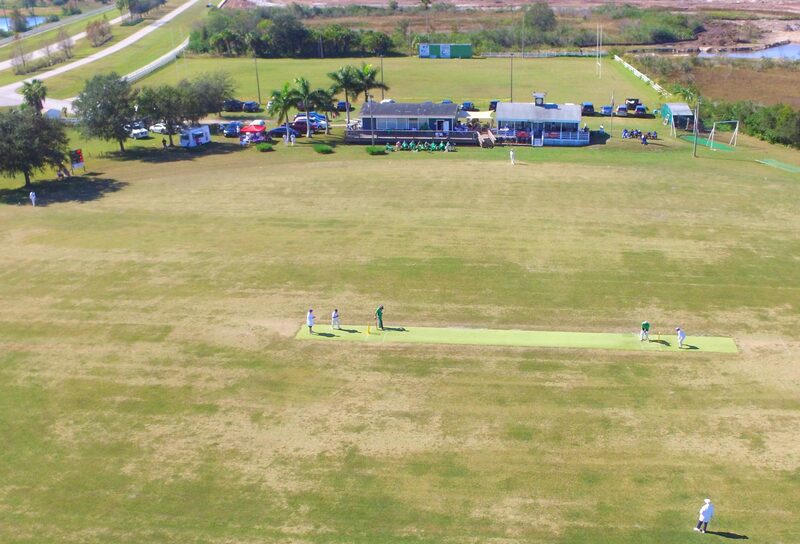 We will post the dates and details of the 2015 Sarasota Thanksgiving Cricket Festival as soon as they are confirmed. If you think you may wish to enter a team please let us know immediately. How do I get your match schedule? My family lives right down the road on University Pkwy. and I’ve always wanted to watch a cricket game but I can’t find any information at all about entry. I know your home page says “… or just come out and watch…” but it’s almost like this is a secret that you don’t want spread around. Is there an entry fee? A place to park? Any refreshments for sale or bring your own? Bring your own chairs? Umbrellas allowed? Do you have to be a “member” even if you want to just watch? Hope to hear more… thank you. Parking is available on the ground. In general there is no parking fee except for special events in which case we will post it on the event calendar for that day. The club is licensed to sell alcoholic beverages. We offer a selection sodas, beers, red or white wine. Feel free to bring your own food items. We just ask that you put all the trash in the provided trash bins. Umbrellas are allowed. There are some areas that we ask to keep clear of chairs, umbrellas, etc. Basically the greater area in extension of the pitch. The idea is not to distract the batsman (that’s what we call the batter) when hitting the ball. If in doubt just ask. Can anyone come and learn how to play? I am still somewhat new to the area. Might be a great way to learn a new activity and make new friends. We’re always happy to introduce new players to the game of cricket. My name is Robin John and I’m a former Sarasotan, currently living in Perth, Western Australia. Our son, Miles, is a 13-year-old cricket ‘tragic’ as the saying goes in this part of the world, thanks in part to his introduction to playing the game while we lived in Sarasota. Miles came downstairs tonight wearing his Sarasota Cricket Club T-shirt – something I forgot he even owned! Your club gave him a T-shirt when we moved to Perth just over 4 years ago and it was so large at the time that he just tucked it away. It now fits perfectly and I’m sure it will quickly become a part of his regular T-shirt rotation! I’ve taken a picture of him in the shirt and would love to send it to you, but could not find an e-mail address for the club. If you’d like to have the photo, please just let me know. Miles played for three cricket squads this past summer, and will do so again when the new season begins later this year. We are season ticket holders for the Perth Scorchers, the local cricket team in the Big Bash/T20 league. We are frequently asked how Miles came to love the sport of cricket, and we often mention his introduction to the game in Florida. Thank you for this! We trust all is well with your club – I’ve enjoyed reading the news on your website tonight.